Latest contribution to Amazing Stories Magazine: The Hero Pulp Explosion! P.J. Farmer, Grand Master Award winner in 2000, launched a popular string of novels and essays postulating that a meteorite that landed in Wold Newton, England, in 1795 radiated a band of nearby travelers, whose mutated genes formed the basis for the birth of all the heroes and villains who populated the pages, film, and radio waves of during the 19th and 20th centuries. Whether you are a Wold Newton follower little matters. It is a matter of documented fact that during the year 1933, publishers detonated a population bomb that eventually lit the fuse that exploded the Wold Newton notion in Farmer’s imagination. Read more at the Magazine . . .
Lester Dent made a quick splash in the pulp magazine market with his action-packed stories featuring fast pacing (rapid-fire pacing isn't an exaggeration for some of Dent's stories, and it wouldn't have been a cliche at the time he was producing these tales). His prose whipped along, carrying only the essential details. 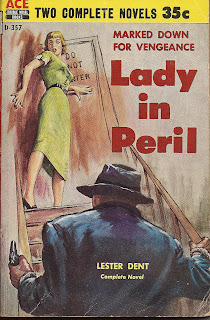 One could easily argue that Elmore Leonard might have picked up a few lessons from reading Dent's pulp stories. 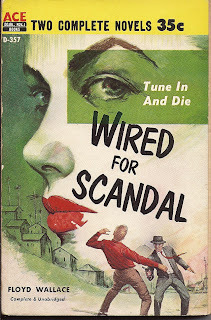 Perhaps that pared-down, zooming prose was influenced by Dent's pre-pulp career as a telegrapher. Or maybe Dent was just a Zoomer at heart, and telegraphy suited his natural traits. The fast-and-furious qualities of Dent's stories published by Dell magazines got him noticed. Eventually he was tagged by Street & Smith to bring Doc Savage to the newsstands under the house name Kenneth Robeson. While the bulk of Dent's published work was for that magazine, he wrote plenty under his own name. 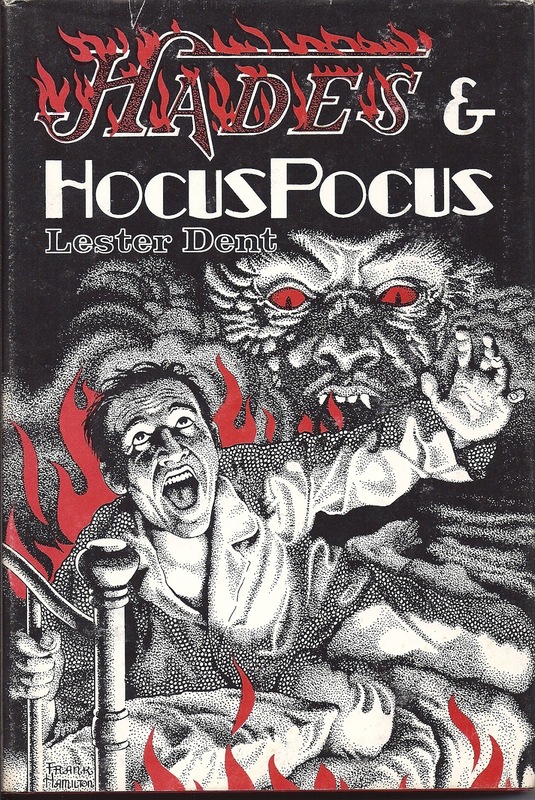 Two examples were these serialized stories from Argosy: Hades and Hocus Pocus. Both feature Dent's trademark telegraphic prose, he fondness for gadget-loving heroes with an trait for spontaneous ingenuity, and lots of action. Lester Dent is known best today as the primary author for the Doc Savage series of pulp magazine novels -- which, by the way, celebrate this year the 80th anniversary of the publication of the first, The Man of Bronze. 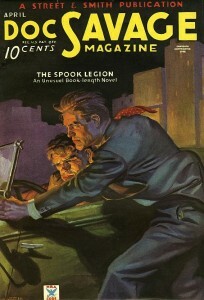 Dent had some minor success with hard-boiled short stories in Black Mask magazine. He dabbled in novels, as well. This one is a nice place to dip your toes into Dent's post-pulp work. 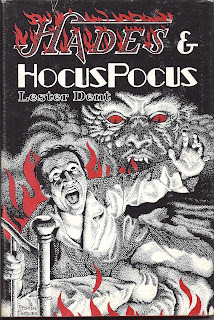 It was one-half of an Ace flip book, so it was still short and fast-paced, a typical Dent storytelling trait.